Family! Nothing better than family! 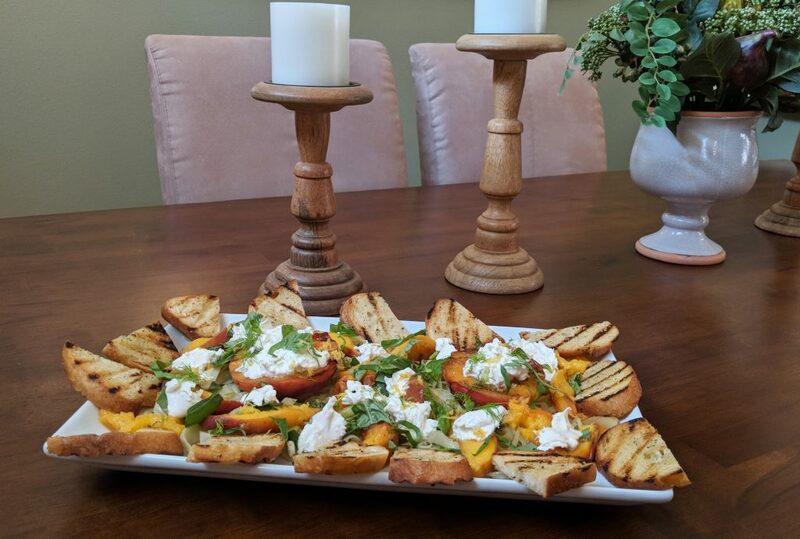 This week, I’m excited to be cooking up an amazing Grilled Summer Peach Salad with my cousin, Chef Josh Roelofs, from Exclusive Cuisines in Santa Barbara. This is one of his fantastic recipes! 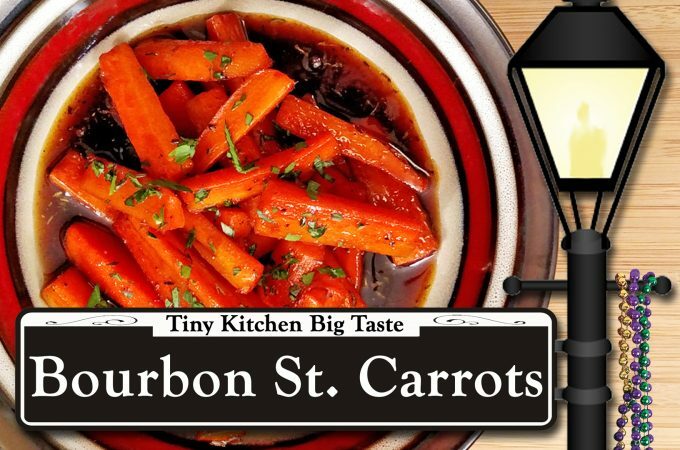 It’s so good, pretty easy to make and perfect for Tiny Kitchen Big Taste! This Peach Salad has got a bit of a fancy factor to it, so despite its simple, rustic presentation, it just feels like you’re eating something really special. And…you are! One thing both Josh and I have in common is my Uncle Ben (Josh’s grandfather). Uncle Ben is (and has always been) a huge culinary influence on me and I know he has been for Josh as well. My Dad used to say, “I [referring to himself] am a cook, Uncle Ben is a chef.” It’s true…Uncle Ben is a chef! A great chef! He was the person from whom I really learned about plating and presentation. And I love how he is never afraid of trying something new. Christmas Eve: Feast of the Seven Fishes. Enough said. If you don’t know what that is, it is a very ambitious seven-course undertaking; check it out HERE. I always love to visit because, each time, I learn so much from Uncle Ben. Plus, he always had these classic Food & Wine magazines that I would always love to thumb through for ideas. Most importantly, though, I just enjoyed spending time with him and Aunt Linda, who is, sincerely, one of the sweetest, kindest, most generous women on the planet. I just love my family…I am truly blessed. The cool thing about watching Uncle Ben in the kitchen is how easy he makes everything look. Literally, when you’re at his house, you don’t even know cooking is taking place. You might see him season…maybe…one thing. Then, moments later, you sit down to dinner and there is a vast spread of food on a beautifully set table (thanks to Aunt Linda, who was also key in making the cooking preparations look so easy). Plates and plates of beautiful dishes that just seemed to magically appear. 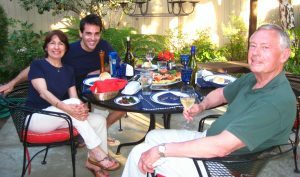 Uncle Ben is a true chef in the classic sense and I love how he has passed down his talents to his family. 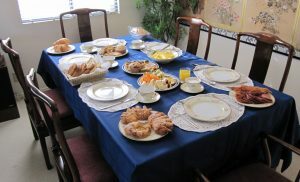 Aunt Linda always makes the table look beautiful so that the food takes center stage. Speaking of family, I joke in the video about Josh and I being first cousins once removed. I’m such a geek…once I figured out the difference between first cousins and a second cousins…and what the heck the once or twice removed was all about, I can’t help but showcase my incredibly pedestrian, yet awesome little party trick. So here goes. First cousins share a grandparent. 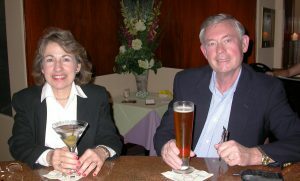 Think about your first cousin…you share a grandparent. Second cousins actually share a great-grandparent…that is, you have to go back two generations to find a common ancestor. Now with the removal jazz, let’s come back to first cousins…that will make it easier to understand. The removal signifies the number of generations between the cousins themselves. So, the child of my first cousin would be my first cousin once removed…and the child of the child of my first cousin would be my first cousin twice removed. It just so happens I have a first cousin twice removed…actually, I have three of them! Josh’s sister, Ashley, has three kids…one of whom was actually born on my birthday, September 29! Well, like Josh, Ashley is my first cousin once removed. (That is, she is the daughter of my first cousin, Christina.) Thus, Ashley’s kids are my first cousins twice removed because there are two generations between me and Ashley’s kids. That was confusing enough, but if you really dive into the whole genealogy thing, it gets incredibly confusing…and we haven’t even started talking about double cousins, cousin-in-laws or cross first cousins. There’s your 3-minute lesson in the difference between second cousins and first cousins once removed. Feel free to use this little party trick at your next family reunion. Your family will either be really impressed or thoroughly confused. Either way, it’s good for laugh! 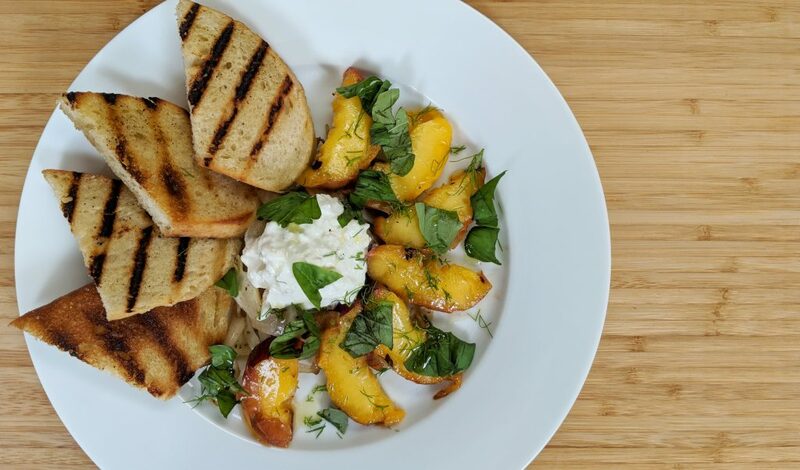 So let’s talk about this Grilled Summer Peach Salad. I say Summer Peach because peaches really hit their prime around this time of year here in the US, between June and August. My “Sunday Night Supper Club” Creation…taking Chef Josh’s recipe out for a spin! Totally random, totally good. And like I said, it is one of those dishes that has a bit of a “Wow” factor! I think a lot of that comes from the fact that you’re using ingredients, while readily available, don’t get used all that often. Burrata. This is popping up all over the place these days and I bet you didn’t even know it was sitting at your local grocery store the whole time. I got mine at Trader Joe’s. If you don’t see it at your grocery store, just ask your store manager. It’s probably there. If not, they can likely order it or you can get it online. I love a rustic plating! Burrata is life changing if you haven’t tried it. So rich and creamy. It generally comes in a 2-3 inch ball that has a firm outer shell, the Stracciatella. Stracciatella, meaning little shreds, is a stretched mozzarella cheese, that when combined with cream, makes burrata. Yes…cream and mozzarella. You’re gonna love breaking through the firm outer shell to reveal the rich and creamy curds inside. Heaven! Fennel. When’s the last time you used fennel? Exactly…time to start. This, too, is popping up all over the place. Again, Trader Joe’s had it. If you’ve ever had Italian Sausage, you know the taste of fennel. The little seeds that have a hint of licorice flavor, those are fennel seeds. The Fennel bulb, itself, is a mild version of that. It’s crunchy, very fresh tasting and when you cook it, it really brings out a wonderful, unique flavor that plays well with others. And don’t worry, if you don’t fancy licorice, the licorice flavor is not overwhelming at all…just a hint of spice. Peaches. While these are in season, I actually recommend getting more of a firm peach than an overly ripe one for this recipe. It makes it easier to remove the pit and maintain its shape on the grill. 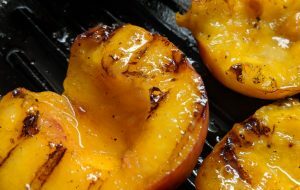 The grill helps to caramelize the peach, really enhancing it’s sweetness. But, honestly, if you wanted to take a little short cut, this salad would totally work without grilling them. So…keep that in mind if you’re tight on time. Aside from that, everything is really straight forward. The recipe below serves about 2 people…so it’s about a half a peach each. I did that because both Josh and I did not use the whole peach. But feel free to adjust that according to how you like it. 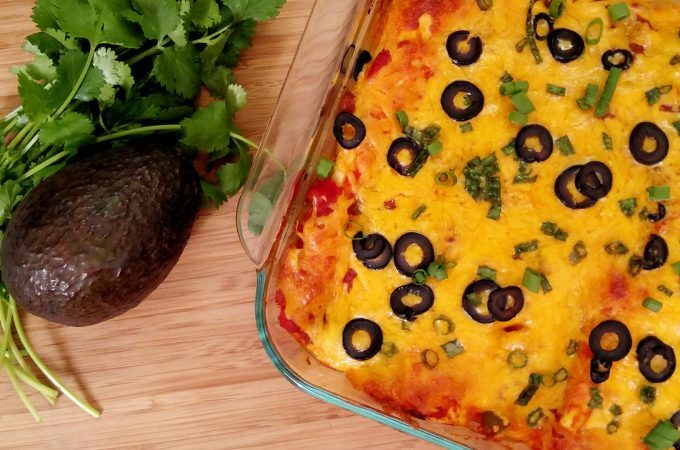 Please try this recipe! And when you do, let Josh and I know about it by posting a pic on Instagram…and tag us in it (@tinykitchenTV and @exclusivecuisines). 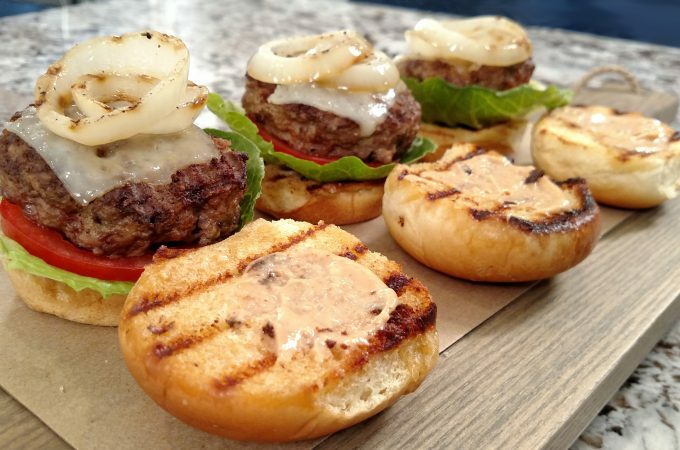 And if you’re looking for an amazing caterer in the Santa Barbara area, be sure to check out Josh’s website for more info: https://exclusivecuisines.com/ He’ll whip up something amazing for you! 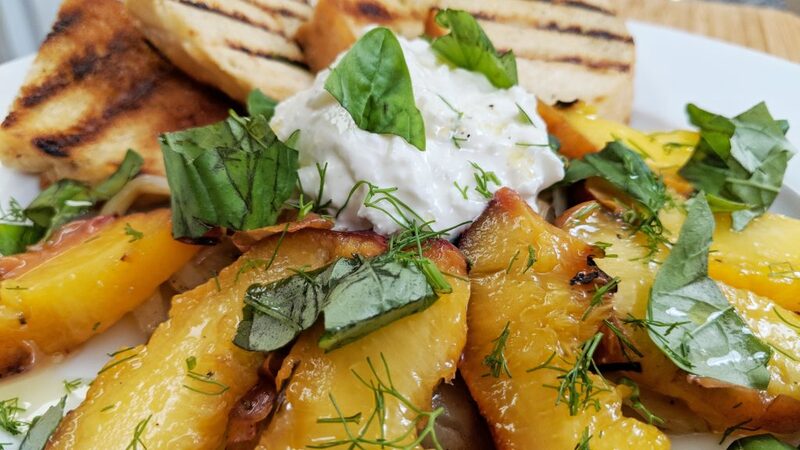 Chef Josh Roelof’s Grilled Summer Peach Salad is the perfect salad when you want to step away from ordinary. Slice Sourdough Bread into four 1/2-inch slices. Season on both sides with Olive Oil, Salt and Pepper. Cut off the top of the Fennel bulb, right where the fronds begin. Reserve some of the wispy part of the fronds.) Then cut the Fennel bulb in half vertically, keeping the root intact on both halves. Using a Mandoline (2.5 mm attachment), shave the Fennel bulb into thin slices. Cut Peach in half, twist and remove the pit. In grill pan over medium-high heat, add Olive Oil and grill Sourdough Bread until you have nice grill marks on both sides (about 1-2 minutes). Add more Olive Oil to the pan, place Peaches face down. Cook until caramelized with grill marks, about 1-2 minutes. Flip and grill for another 1-2 minutes on the other side. Remove. Wipe out the pan if necessary. Turn down the heat to medium-low. Add Olive Oil to the pan. Add Fennel, Salt and Pepper. Cook for about 1-2 minutes. Add a squeeze of Lemon juice (about a teaspoon). Add a few leaves of Basil and cook until wilted. To plate, place a bed of Fennel on the plate, along with the Bread. Slice peaches and arrange around the Fennel. (Note: you can arrange it any way you like. Even a rustic plating looks great). Finish off with hand torn Basil leaves, Olive Oil and Fennel fronds.